Gathering and analysing data alone isn’t enough to drive true AI. The numerous reports on the growth, potential and effects of artificial intelligence (AI), IoT, and machine learning have caused many businesses to question what it will all mean for them. Automation, in one form or another, is already a part of our daily lives. 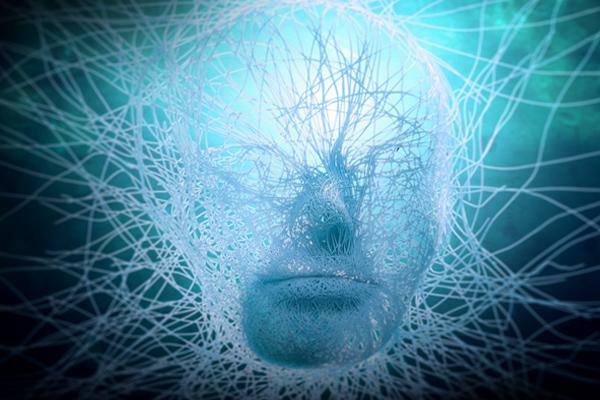 A recent ADP report said Asia Pacific business leaders are increasingly recognising how AI technology can translate into higher productivity for organisations. While there has been a lot of discussions and analysis into how AI will disrupt and transform Australian business, cognitive computing, which is the hidden backbone of AI, hardly gets a mention. Cognitive computing is essentially the simulation of human thoughts through processes in a computerised model. It involves self-learning systems that use data analytics, pattern recognition and natural language processing to mimic how the human brain thinks and works. Without cognitive computing, all AI and robotics related technologies wouldn’t be. Consider these striking statistics: 90 per cent of the world's data was created in the last two years. Yet today, just one per cent of business data has been analysed and used to deliver outcomes. Many companies find it difficult to harness the sheer volume of information their business generates every day. They are struggling to handle, integrate, model and construct data collected from different sources to get valuable insights to improve operations and save costs. This is where AI comes to the fore. Gathering and analysing data alone isn’t enough to drive true AI. To automate processes and make informed decisions based on data, cognitive capabilities are needed. They will enable analysing hundreds of various sources of data sets, both structured and unstructured, model and structure data trains to extract precise insights across multiple different user case scenarios. With that, data gathered from traditional analytics software can be used repeatedly and for future, predictive context rather than just for one off processes. Organisations that want to truly empower their cognitive capabilities to reap the benefits of AI need to build dedicated platforms that allow the development of cognitive-ready applications across the business. Only such platforms can harness big data in a meaningful way, to derive business insights and competitive advantage. Investing in new-generation application development platforms will give organisations, and individual line of businesses, the ability to gather contextual information, which will enable true cognitive capabilities, empowering the whole system to keep learning, get smarter, and give holistic answers to the business. In addition, cognitive-first development platforms are paramount to building powerful user and machine interfaces across any type of device. They provide a reliable, scalable and secure backend platform allowing organisations from all sizes to deploy modern applications, as well as leading data connectivity to all sources. Cognitive application development, predictive analytics and machine learning build on top of layers of existing technologies and applications to make them more powerful. And this is what will power true AI use cases. Ensuring that all parts of the business understand that they must think cognitive-first will truly help accelerate AI developments. CMOs, CFOs, and COOs need to ensure a cognitive-first mindset is at the heart of their operations and decisions. Cognitive capabilities should be built-in to every piece of technology used by the business, whether for internal or customer-facing purposes. The earlier cognitive capabilities are integrated, the more connected the business will be, and the smarter the platform will become, delivering AI-enabled solutions and insights. Cross-collaboration within the business is vital, and must be advocated by a strong leadership team, ensuring seamless cognitive capabilities and communication across the entire organisation. Personal computers transformed industries and powered people with tools that amplified creativity and productivity. The Internet connected us all together. Mobile and tablets have given us all of that power in our hands, and now it’s time for cognitive computing and AI to power Australian businesses’ next stage of growth. Mark Armstrong is vice president and managing director of international operations for EMEA and APJ at Progress.